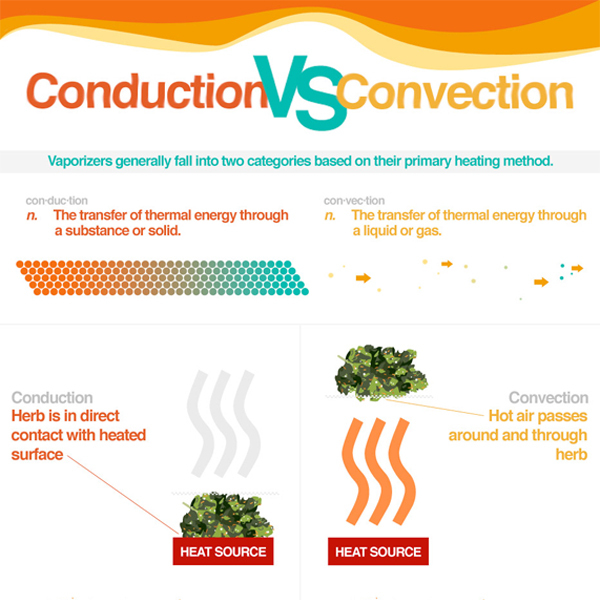 As the infographic explains, convection is usually the first choice for true vapor connoisseurs, but is often associated with higher priced products and longer warm-up times. Conduction vaporizers are usually less expensive and heat up much faster, but are less efficient and can more easily combust your materials. Although many products on the market are hybrids that use some combination of both heating methods, they are primarily classified as being either one or the other. Most of the top plug-in vaporizers such as the Volcano, VapeXHale Cloud are convection driven, along with a few portables including the Dr.HAZE , C Vapor ,T vape . A majority of other portable vaporizers on the market are primarily conduction driven, including Magic Flight Launch Box, DaVinci Vaporizer, Palm Vaporizer, PUFFiT and more. If you liked the infographic, take a moment to stop by PortableVaporizers.net to thank them putting it together, and check out some of their vaporizer reviews and other awesome content while you’re there. If you still want to learn more about the differences between conduction and convection vaporizers, check out Vaporpedia’s Introduction to Vaporization or head on over to FuckCombustion.com and jump into the Conduction Vs. Convection discussion thread. 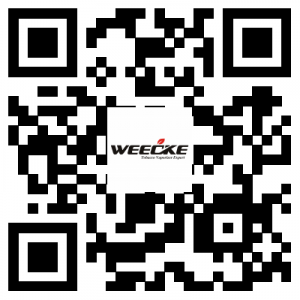 There also have introduction about Weecke C Vapor and Dr.Haze. Let us know what’s up in the comments.